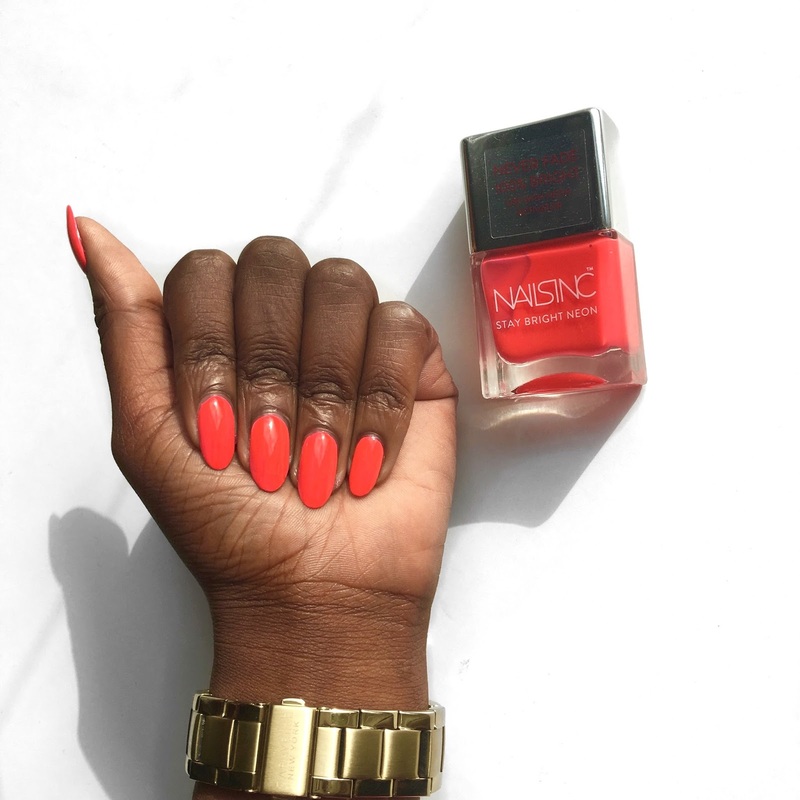 We may be coming to the end of summer over here in London but I am still trying to hold on that little bit longer with my neon polish. 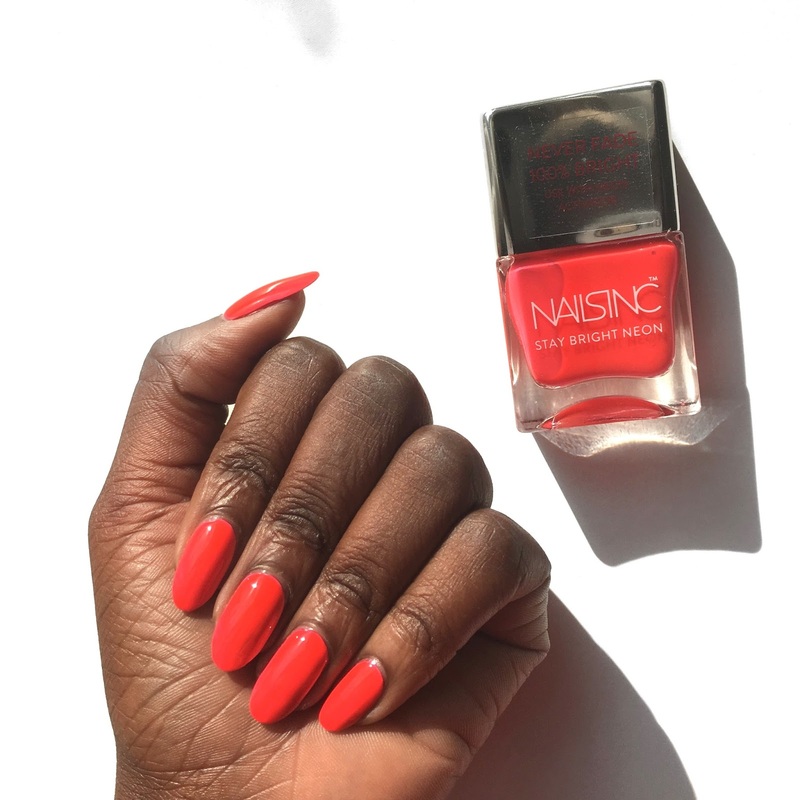 I finally got round to swatching the last of Nails Inc. neon bright polish this week for you. We have here Great Eastern Street, a neon bright melon shade and much like the other two shades, its non fade and stays bright for the duration of the wear. 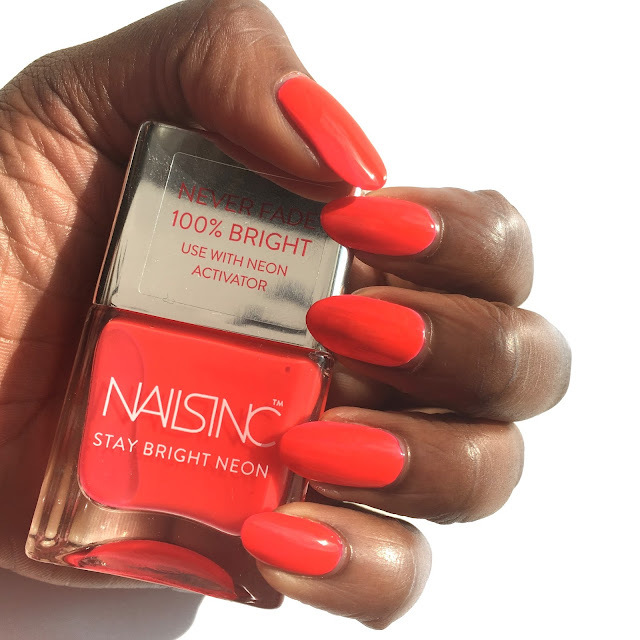 As with all the polishes from Nails inc. neon bright collection, it is crucial that you first apply a base coat and in my case I use nails inc Kensington Caviar top coat. 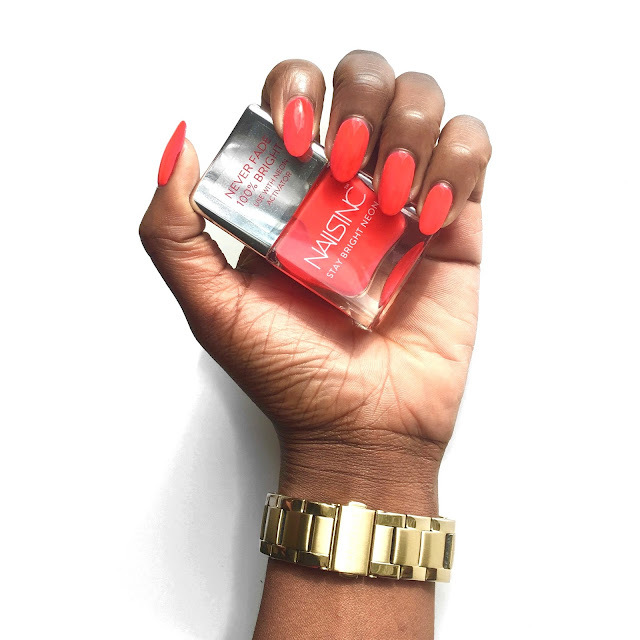 I then applied the neon activator polish on before then applying one to two coats of the neon polish of your choice and finally wrapping things up with my all time favourite Kensington Caviar top coat. Much like the other Nails inc. neon polishes, Great Eastern street really did stay bright for the duration of my seven day wear.